Worry-free premium convenience and comfort. When it comes to credit cards, rewards are not always the best indicator of how good a credit card is. In fact, for some people, rewards may not even be something they look at. What gets them excited? It’s all the "other stuff" that gives the card an overall feeling of prestige. That is exactly why we wanted to have a page dedicated to the cards that have the absolute best perks. 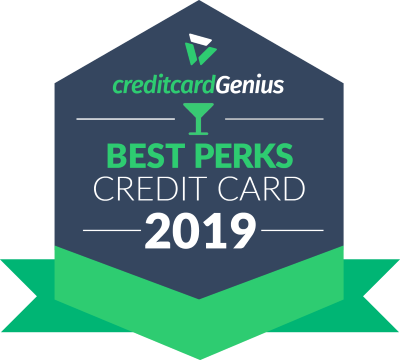 Luckily, these top perks credit cards not only give their cardholders premium comfort and convenience, but many of them have some of the best rewards earn rates as well. Keeping in mind, these cards are all premium cards and tend to come with a hefty annual fee. And of course, you’ll need to meet their income requirements as well, if they have any. The is leaps and bounds above other cards when it comes to the perks available. It starts with the welcome bonus. Get 50,000 points by making $3,000 in purchases in the first 3 months. Transfer those to Aeroplan at a 1:1 ratio, and you're looking at a bonus worth up to $1,250. What's more, every year you own the card, you get a $200 annual travel credit. Simply book any single travel booking of $200 or more through the Platinum Card Travel Service and get $200 off your purchase. With this card, you'll also get access to the International Airline Program. Get discounted fares, discounted companion tickets, and complimentary upgrades on some of the world's finest airlines. access to the Platinum Card travel service, for assistance with travel plans and reservations. You'll earn 1.25 Membership Rewards points for every dollar you spend, and travel with peace of mind with 11 types of travel and purchase insurance. It's all for an annual fee of $699. While steep, the value this card brings to the table definitely compensates its annual fee. Major bonus: this card has no minimum income requirements, making it available to anyone as long as you have good credit. If you want red carpet treatment wherever you go, this is the card for you.